Saw Land of the Lost tonight at the Arclight. The critics are probably going to hate this movie, but I thought it was really interesting. 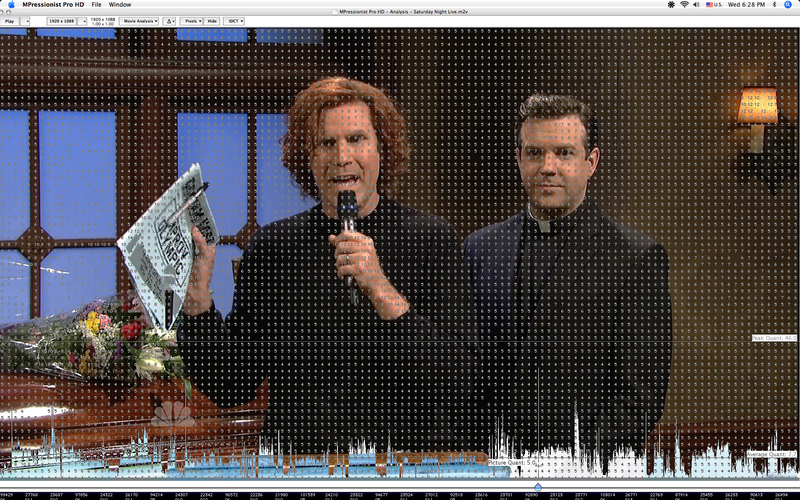 It's as if Will Ferrell wandered into a Salvador Dali painting. I can't comment on whether it's true to the original series. Surreal. Limited narrative. Really imaginative sets. In particular, the Motel half baked into the sand with the boys half baked on the psychedelic pineapple juice was really fun. People who like this film should really investigate some of the strange alternate historical theories of Earth, including Zecharia Sitchen and David Icke. And a tip of the hat to Hunter S. Thompson and William Burroughs. Still, my favorite Will Ferrell movie is the one he did with Woody Allen. A reminder that just because you're famous for wearing an FCC-approved patriotic thong on national TV, it doesn't mean you can't hold your own among the greats. Read it. Learn it. Love it. Page 183. Bambi vs. Godzilla (David Mamet) is another favorite textbook of mine. It's about 9 days to the DTV transition. Let's check in with the over-the-air ATSC HDTV signals and see what the big networks are doing with that 27 Mbits/s channel that they've been granted by the American public. It's a priviledge, not a right! That guy in the black shirt is annoying! Who's he supposed to be again? Wow, those guys look like a bunch of hockey players. Unfortunately, hockey players and movies about hockey players are only famous in Canada. Speaking of Canadians. 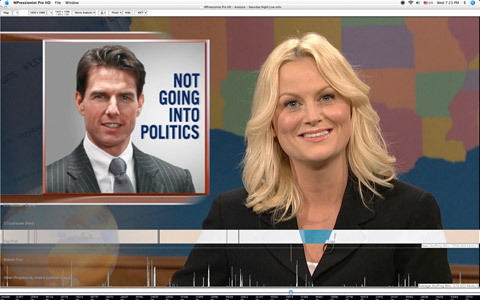 The encoder used by this affiliate inserts I-frames, or key-frames, whenever it detects a scene change. Back from Hell-eh? And ready to party. 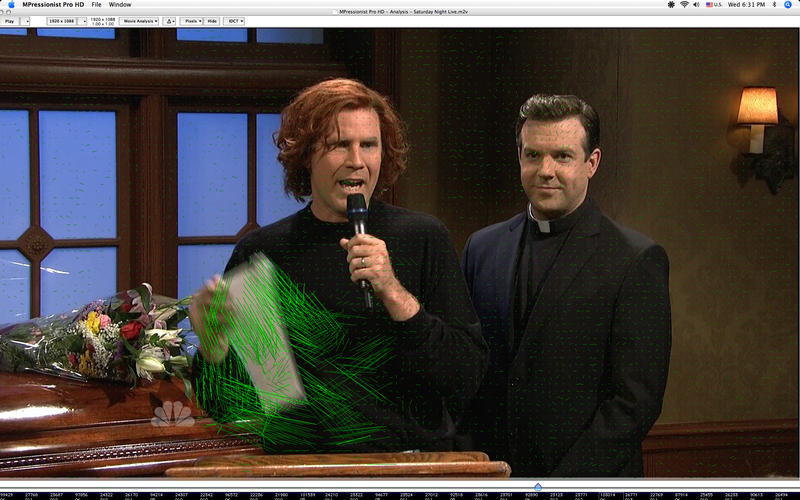 NBC broadcasting SNL in 1080i, top field first, resulting in about 30% wasted bandwidth. Apple. Formerly Apple Computer Inc. Now there's a company that has no business in show business. Somebody should tell Apple and Alan Kay that nobody will ever carry a computer around in their pocket and use it to communicate, listen to music and watch millions of quirky home made videos. Computers are too complicated for ordinary people, they're for nerds! I think they said exactly the same thing about radio. Nerds only. You don't believe in Metcalfe's law. And so the twitter phenomenon mystifies you. Film at 11. The first education I got in Hollywood was from a Roger Corman alumni. Then I met a director whose Corman films had been the inspiration for Tarantino and others. I'd rather be a burgeoning Roger Corman than an actress. I don't think I'd make a very good actress. The main problem with being an actress is that I'm a heterosexual male. The fact that I can't act doesn't seem to be a significant problem in modern film production. 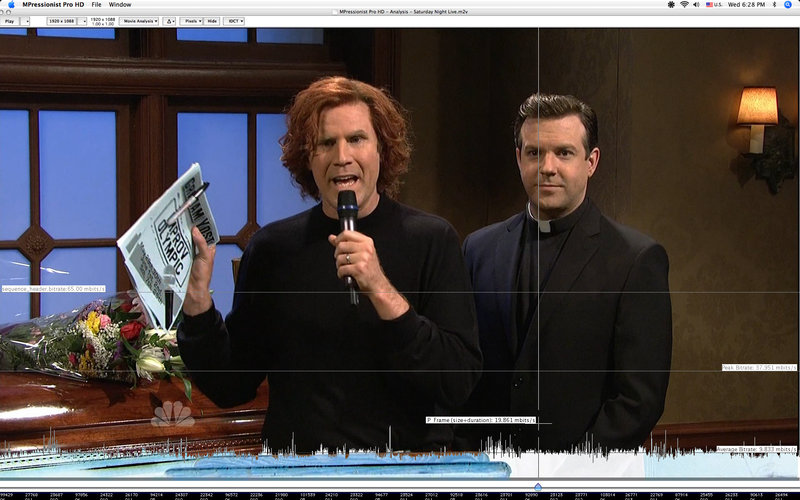 Will Forte really killed it in the funeral sketch during the SNL finale. I noticed the funeral sketch started at around 12:00 midnight. Seems appropriate.